There’s a growing amount of training courses and certifications for the modern-day marketer. Not only do they help give professionals the career boost (and credibility) they’re looking for; these courses and certifications can also bring real benefits to organizations across a wide range of industries, especially at a time when the whole marketing discipline is in the middle of an evolutionary change. We here at ReviewTrackers rolled up our sleeves and sought the opinions and experiences of marketing professionals, asking them about the best and most essential marketing certification programs and courses. The inbound certification course is one of HubSpot Academy’s most popular courses. It covers the fundamentals of the inbound marketing methodology, and includes topics such as SEO, blogging, landing pages, lead nurturing, conversion analysis, and reporting. Don Halbert, CEO, The Real Estate SEO: My vote goes to HubSpot’s inbound marketing certification. As a pioneer in online marketing, I’ve never seen a strategy more all encompassing that produces results like inbound marketing does. Technical SEO is what we are most known for; however, whenever anyone asks about what our methods are for achieving sustainable success for our clients, I always respond with: have a GREAT inbound marketing strategy and you’ll never worry again about getting leads. Hannah Ash, Marketing Communications Specialist, Graphical Networks: If you’re looking for free but robust, I recommend HubSpot’s inbound certification. I used it and it helped me land the job I wanted and continue to excel at it. Why did I use HubSpot’s certification? It’s free, first and foremost. Second: it’s respected by potential employers. A bonus is that it’s cross-industry compatible. I think every marketer should obtain this level of certification, as inbound marketing is so important right now and stands to carry even more weight in the next few years. Adi Sudhakar, SenseiHub: HubSpot’s inbound certification is great. I was once offered a product marketing position in Boston at a Bain Capital-backed venture partly because of this. Felt like they valued it more than my Michigan and Columbia degrees. Adam Miller, Director of Digital Marketing, LRG Marketing: HubSpot came up with inbound marketing so their course regarding the certification is extremely thorough and helps you understands the ins and outs of the craft. Not only does it have informative lectures, it also contains a bunch of study guides and allows you to print the notes out so you can truly study before the certification course. Alisa Meredith, Alisa Meredith and co-owner and chief strategist of Scalable Social Media: I would start with inbound and make sure to do the free content marketing course as well. I’ve taken both and they provide a lot of great information. Jessica Gagner, Communications & Events Strategy, BioConnect: HubSpot’s inbound certification is a great course. I took it when I was transitioning from advertising to marketing career and found it to be incredibly helpful. It teaches any marketer how they can work well with their sales team, which I think is such a powerful skill to have — and also how to create really strong content, keeping your customer, SEO, and the buying funnel in mind. Mindi Rosser, Mindi Rosser Marketing: I recommend this course especially to beginning customer-focused marketers because the training covers the full inbound methodology and is updated as industry trends change. The course is easy to follow, tests your knowledge, encourages you to practice your skills in the real world and identifies areas you need to strengthen. Our ReviewTrackers Academy offers six training courses and certification on Customer Experience Management. The program is designed to help marketers and online customer service specialists achieve a deeper, more meaningful relationship with their customers — by providing a robust online education, as well as actionable takeaways they can use in every facet of the customer experience. The ReviewTrackers Academy’s Customer Experience Management Training and Certification starts with an in-depth background of CEM, examples of corporate success, and the metrics behind that success. The training delves into the “customer-first” approach, provides techniques for understanding customer pain points, and helps students engage with their customers by identifying brand advocates. The advantages of brand advocacy are outlined in a lesson on user-generated content, and tools that can be helpful for engaging with brand advocates in real-time. Lastly, students will learn the intricacies of setting up a customer experience strategy and operationalizing internal organizational structures to better serve customers. Kirk P.: I’m always curious about ways to improve customer experience. (ReviewTrackers Academy) has good info, and I liked the formulas for identifying various types of customer based on the rating. This course will help identify our promoters and advocates. TJ M.: I’m looking for a new job and felt getting certified in customer experience would help me become more attractive to hiring managers in the sales and marketing space. The course aligned my mindset with how customers can and will use social media to communicate with a brand. Also, it helped me realize there are lots of opportunities to build a brand outside of what is happening today. I liked each module was 15-20 minutes. I found the course to be informative and a good place to start as I reconfigure my career. Cost: The distance learning course is currently $1,800+ (exc. VAT) while the workshop-based course is currently $2,300+ (exc. VAT). The Professional Academy recently launched a new fully accredited and internationally recognised Digital Marketing diploma in partnership with the Digital Marketing Institute (DMI). The course covers all the major components of digital marketing, including the following modules: Social Media Marketing, SEO, Mobile Marketing, Email Marketing, Pay Per Click, Digital Display Advertising, Web Analytics, and Strategy & Planning. The diploma itself can be taken through face-to-face workshops in the UK or through distance-based online lessons. Both options end with a Pearson VUE online examination. Ryan Hathaway, PR and Media Manager, Brighter Directions: Why should it make the list? This diploma covers every major aspect of the digital marketing profession and gives everybody taking the course an internationally recognised and fully accredited diploma. At a time where we are still struggling to deal with a huge digital skills gap, diplomas such as these are vital in helping to upskill existing workers and provide new entrants to the industry with the additional skill base to succeed. This 13-class for-agencies course by HubSpot Academy covers what you need to know about the Growth-Driven Design methodology, including how to set up a team, process, and pricing strategy, as well as how Growth-Driven Design can help transform your organization or marketing agency. Adam Miller, Director of Digital Marketing, LRG Marketing: The Growth-Driven Design course is a great next step for agencies. It goes over HubSpot’s model of web design and teaches you practical skills for using it such as managing a website project, upselling, gaining new clients, and staffing. Any marketer looking to have a complete understanding of digital marketing should start their learning with HubSpot. Its training is second to none. There are two AdWords certification exams, the AdWords Fundamentals exam and one of the following: Search Advertising, Display Advertising, Mobile Advertising, Video Advertising, or Shopping Advertising. 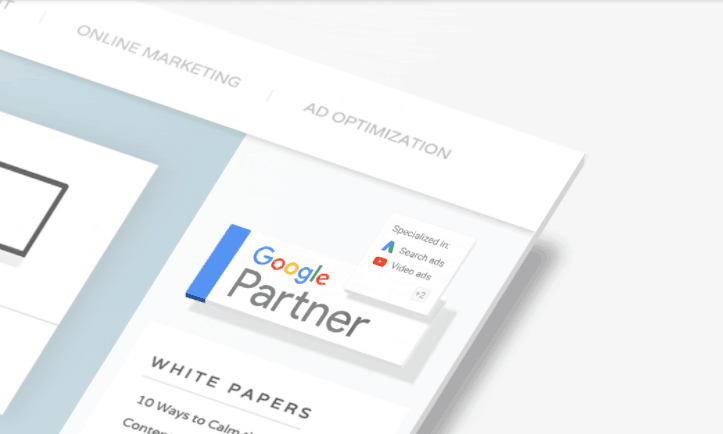 James Meincke, Marketing Manager, CloserIQ: Google AdWords is one of the most important PPC platforms, but it can be overwhelming at first. This certification will help you get a feel for the platform and lay a foundation for successful search and display campaigns. Lori Appleman, Co-founder, RedlineMinds.com: The study materials and tests are free. These are the most recognized by customers; thus, they are very valuable. The certification is a must for any generalist online marketer as well as those who specialize in paid advertising. The Society for Marketing Professional Services (SMPS) offers a credential designed to elevate the professional standards in marketing. The CPSM designation also serves as a mark of distinction for professional services marketers and business developers who have met a rigorous standard of experience and expertise in marketing professional services. Perryn Olson, CPSM, Marketing Director, My IT: I completed my certification in 2010, and it requires 50 credits every three years to renew. The training covers the six domains in depth: marketing research, marketing planning, client and business development, proposals, promotional activity, and management. HubSpot Academy’s e-mail marketing certification, complete with 9 classes over a span of 3.5 hours, includes advanced lessons on managing a sustainable e-mail marketing strategy. The course covers lifecycle marketing, segmentation, e-mail design, deliverability, analytics and optimization. Shayla Price, B2B Content Marketer: HubSpot’s inbound e-mail marketing certification is an in-depth resource for digital marketers seeking to gain knowledge about how to run successful campaigns. From segmentation to design to analytics, the course will transform how you think about email marketing. Cost: The OMCP exam fee is $395 for all three parts, payable upon registration. For more information, visit the official OMCP Certification page. OMCP (Online Marketing Certified Professional) maintains the industry standards for online marketing exams, certification, and competencies through partnerships with hiring managers, educators, and recognized thought-leaders. Over 40,000 professionals have trained to the OMCP standard and over 700 educators provide approved OMCP preparation courses. Michael Stebbins, President, OMCP: You may agree that marketing certifications fall into three categories: 1.) Course completion certificates (Example: Market Motive, my former company), 2.) Platform or tool certificates (Examples: HubSpot and AdWords certification), and 3.) Industry certification (Example: OMCP). As far as we know, OMCP is the only independent certification serving the industry that is not tied to a platform or course provider. Educators and course providers use OMCP Competency Standards to ensure courses adhere and prepare students for the exams. Hiring Managers use OMCP certification, exams, and readiness testing to verify hard skills before and after employment. Current and aspiring professionals use OMCP certification to ensure skills are up-to-date and prove hard skills to clients and employers. Cost: Users can pay for a single course (one year’s access) starting from $299, or you can choose a one-stop solution at $299/month (Expert Pass) for access to all 9 certification courses. Market Motive’s digital marketing training courses and certification provide authoritative cross training in SEO, web analytics, social media marketing, conversion optimization, mobile marketing, PPC advertising, and content marketing. Lori Appleman, Co-founder, RedlineMinds.com: One lesser known study and certification program is the MarketMotive.com program. Certifications are available in most areas of online marketing. What makes this program really special and useful is that the courses are taught by some of the most prominent experts in the world of online marketing. I took analytics courses from Avinash Kaushik, conversion optimization from Brian Eisenberg, and PPC from Brad Geddes. These are just three of the experts they have teaching the courses. 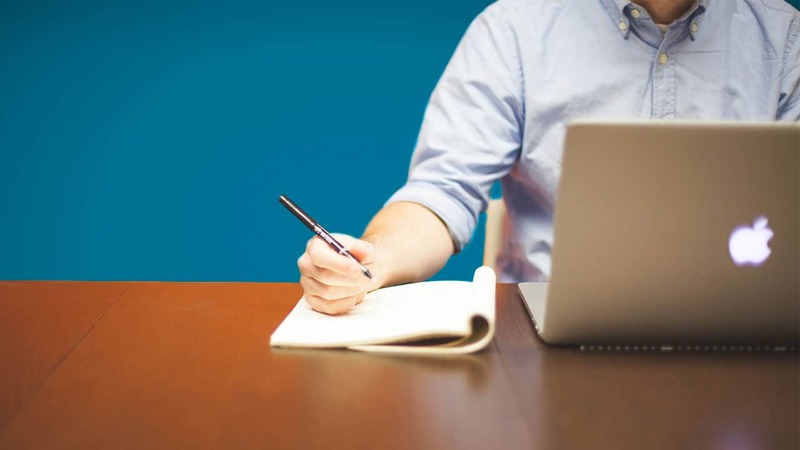 Unlike many certifications that are based on just the framework of a topic, the Market Motive courses go into details and really prepare you for expertise in the subject area. Their courses also qualify for OMCP Certification, an advanced marketing certification. The money I invested here was well spent. The Google Analytics Academy offers free lessons and certification from Google measurement experts. Not all courses are open for certification, but all of the lesson and assessment content is available for marketers looking to use digital analytics for their business. Edwin Choi, VP of Marketing, Mobovida: I think this program is key for any new digital marketer so that they can fundamentally understand web analytics. James Meincke, Marketing Manager, CloserIQ: Analytics is the backbone of good marketing, and the Google Analytics certification gives a great intro to marketing analytics. Especially for new marketers with little experience with data and analytics, this is a must. The course teaches marketers how to increase brand engagement through the creation and distribution of content using an owned digital channel approach. Chris Pontine, Creating A Website Today: I took a great course titled Digital Branding and Engagement through Curtin University on edX. It’s a very nice class for anyone looking to learn more and better their knowledge on digital branding. Classes do close down and tend to reopen again at a later date. The course in general is free, but you can pay for a certificate. Cost: Starts at $695 for individual courses. MECLABS Institute Online Learning offers an online curriculum of certification courses derived directly from 15 years of testing experience and marketing research. Its patented methodology is based on more than 15 years of real-world research about customer behavior. Gene Caballero, Co-founder, GreenPal: I went through MECLABS Institute’s Online Learning and got certified in Landing Page Optimization and Value Proposition Development. Both of these online courses help me learn methodologies for testing various landing pages, e-mails, and copy. It also helped us with our conversation rate by improving our page efficiency. All of this was backed by years of research conducted by the MECLABS Institute team. Dan Grech, VP of Marketing and Public Relations, OfferCraft: I think that MarketHack, the digital marketing training program at The Idea Center at Miami Dade College, should make your list. It’s a program that I founded to fill a talent gap we have in South Florida for skilled digital marketers. The course is specifically designed for hustlers: for business owners, working professionals, and those looking to jumpstart a career in digital marketing. Tatiana McDaniel, República: MarketHack makes learning digital marketing feasible and, believe it or not, fun! It’s a professional yet laid back environment with people from all industries, resulting in great networking opportunities. This program, created to provide intense professional education to writers who offer content marketing services, offers enrollees the opportunity to submit their content for review by a member of the Copyblogger editorial team. Adam Fifield, Content Marketing Manager, Big Leap: Copyblogger’s Content Marketing Certification course is a great example of a customer-focused program that offers real benefits upon completion. The course itself consists of highly detailed webinars, podcasts, articles, and worksheets that cover not only content marketing specifically, but overall marketing strategies as well. You go through the course at your own pace, and at the end you submit an authoritative article, a landing page, and a promotional e-mail for critique. A member of Copyblogger’s team gives detailed feedback, and they award you certification if your content passes muster. You get a cool badge to throw on your site, and they create a unique profile on Copyblogger.com for you with a link back to your website. Essentially, they’ll recommend you to their audience, and you’ll get the prestige of having passed their certification. Also included in the cost of the certification course is a year-long subscription to their Authority library of content marketing resources, which is massive and chock full of educational podcasts, articles, webinars, and more for you to continue your education. Created by the University of Illinois at Urbana-Champaign, this program explores several aspects of the new digital marketing environment, including topics such as digital marketing analytics, search engine optimization, social media marketing, and 3D Printing. The Digital Marketing Certificate was also the top coveted certificate on Coursera in 2015. Danyal Effendi, Digital Marketing Team Lead, PureVPN: One of the best certificate programs that I have gone through is Digital Marketing Specialization program by University of Illinois, Urbana-Champaign on Coursera. This specialization certificates helps in mastering strategic marketing concepts and tools to address brand communication in a digital world. It is included in the top 10 specialization courses in terms of enrollment. Students and professionals from around the world participate and share learning through it, which expands the perspective through different views. The program is divided into 6 courses of 4 weeks each with expected investment 8-10 hours per week. The sixth course is a Capstone Project with real-world business case, in which students need to practice and apply the knowledge and skills learned in all the courses. Financial aid is also available as per Coursera’s policy. Facebook’s Blueprint Certification offers valuable credentials to help you further your business and career goals. It’s been been designed to measure advanced-level competency in understanding and applying the skills required for Facebook advertisers. Two certifications are currently available: Facebook Certified Planning Professional and Facebook Certified Buying Professional. Dmytro Moroz, Kanbanize: Many claim to be Facebook experts and social media marketing gurus, but no guru can teach you more about Facebook than the social media giant themselves. The two certifications address the most common questions and issues marketers have when it comes to Facebook ads, organic reach and impressions, targeting audiences for maximum impact, and making the most out of the audience insights. Pratik Shah, Director of Marketing, Grin: In the digital world where social media, and especially Facebook, is wielding such a huge influence and demonstrating efficiency in reaching out to customers, a new Facebook certification is a welcome move. This is strongly advised for social media marketers. Columbia University’s full-time Master of Science in Strategic Communication program provides students with a comprehensive foundation for a successful career in a wide range of communication fields, including modern marketing. Michael J. Mellor, Director of Marketing, Pryor Cashman LLP: The Strategic Communication Master’s course at Columbia was great. What makes it particularly unique is that very few programs have such a holistic viewpoint of integrated marketing communications, and the depth of real world knowledge that both students and professors bring to the table makes it one of the top programs in the country, if not the world. What did we miss? Feel free to add to the list and let us know of other top marketing certifications and courses by leaving a comment below. Wow, this is great. There are so many marketing courses out there and a lot of them are fiercely expensive without much prior information about how they add value. The free ones you review here look like a great starting point. I completely agree with Edward. This is a great list and a wonderful starting point for someone looking to brush up on old ideas or learn something new. It is so important to keep learning and changing throughout your career to keep up with the changing times and markets. Awesome list, it’s all out there and for free! Thank you. I’d add the Simplilearn Digital Marketing Specialization as it seems to be one with advanced training. Wow, thank you for this comprehensive list! I had no idea there were as many free resources as there are, and definitely see them as the most logical starting point.